Register now to receive your FREE GTCon T-Shirt ($30 value)! Register now to receive your free gift. 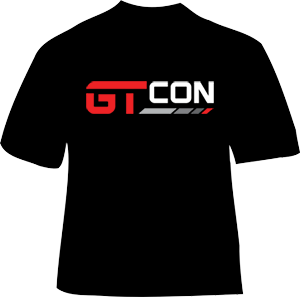 As a thank you for your interest in GTCon, we are offering you a free commemorative GTCon T-shirt ($30 Value! ), available for pickup at check in. GTCon is bringing together the automotive community for three days of immersive automotive culture. It all starts with an amazing car show sponsored by Protective Film Solutions followed by a must-see keynote and catered kick-off party. The next two days will give everyone the opportunity to meet the people reshaping the automotive world, see more cool cars, participate in more automotive experiences sponsored by Historide and Turo, attend Q&A’s, panels, keynotes, meet & greets and more.